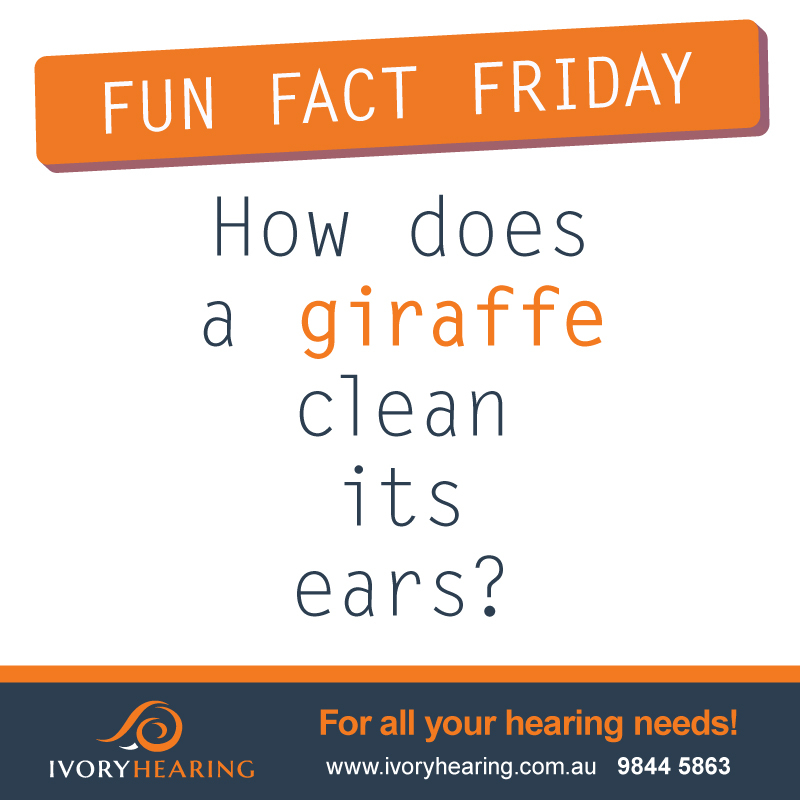 Start Hearing – Blog Fun Fact Friday - How does a giraffe clean its ears? Fun Fact Friday – How does a giraffe clean its ears? It is commonly known that the giraffe has a long neck, but not many know that the giraffe has a very long tongue too! The average length of an adult giraffes tongue is 53cm. Wait, why are we talking about the giraffe’s tongue? The question is about its ears! Well, with such a long tongue, the giraffe has learnt to make good use of its tongue by cleaning its ears out. As if this information is not disgusting enough, the giraffe also uses the same tongue to clean is nose! If you have ear wax in your ears, don’t lick it like a giraffe! Visit us and get it removed properly!